"What you...get is a straightforward user experience (UX) that's a breeze to navigate and search through, with custom filters and tags. You also get all the related data, documents, deadlines, and alerts you need for each contract in the system." "It's among the easiest contract categorization and management features we tested." 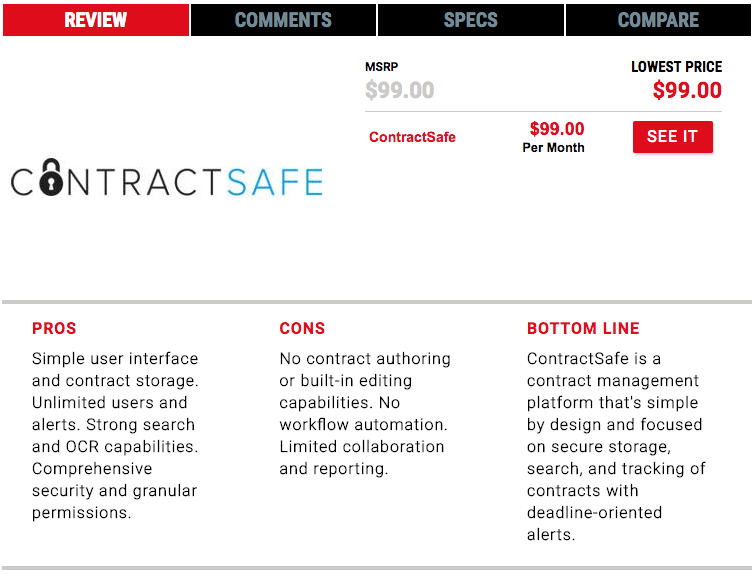 "ContractSafe isn't trying to manage the entire end-to-end contract creation, revision, and management life cycle. The platform is focused on making contract storage and tracking simple and secure, with great search and customizable categorization, and that's what it does." All with great security. If you're not a customer yet, check us out!